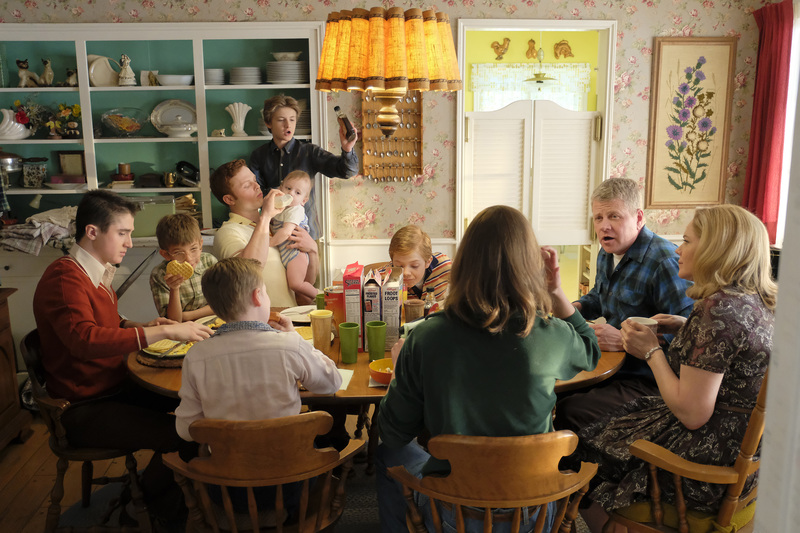 ABC's new comedy The Kids Are Alright premieres this fall on TUESDAY OCTOBER 16 8:30|7:30c. Set in the 1970s, this ensemble comedy follows a traditional Irish-Catholic family, the Clearys, as they navigate big and small changes during one of America's most turbulent decades. In a working-class neighborhood outside Los Angeles, Mike and Peggy raise eight boisterous boys who live out their days with little supervision. The household is turned upside down when oldest son Lawrence returns home and announces he's quitting the seminary to go off and "save the world." Times are changing and this family will never be the same. There are 10 people, three bedrooms, one bathroom and everyone in it for themselves. The series is inspired by the childhood of writer/executive producer Tim Doyle. Watch The Kids Are Alright official trailer below! THE KIDS ARE ALRIGHT - "Pilot" (ABC/Tony Rivetti) SAWYER BARTH, SANTINO BARNARD, CALEB FOOTE, CHRISTOPHER RICHARDS, JACK GORE, MICHAEL CUDLITZ, MARY MCCORMACK © 2018 American Broadcasting Companies, Inc. All rights reserved.